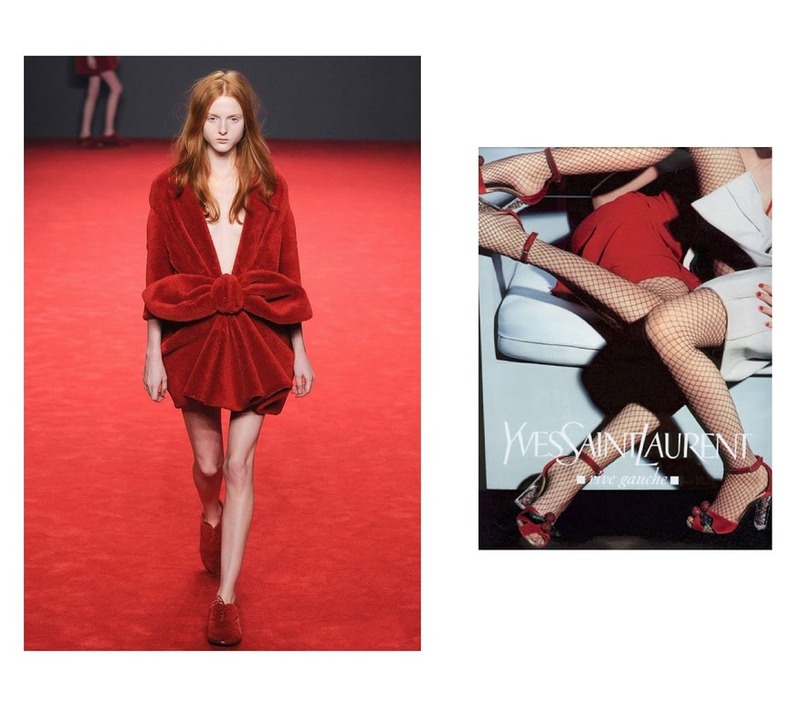 Loved Viktor & Rolf's Fall 2014 couture collection but find yourself wondering, "Where will I really wear that red velvet dress with the overpowering bow?" Or remembering, "Oh, yeah, I can't afford couture...?" No need to fret! 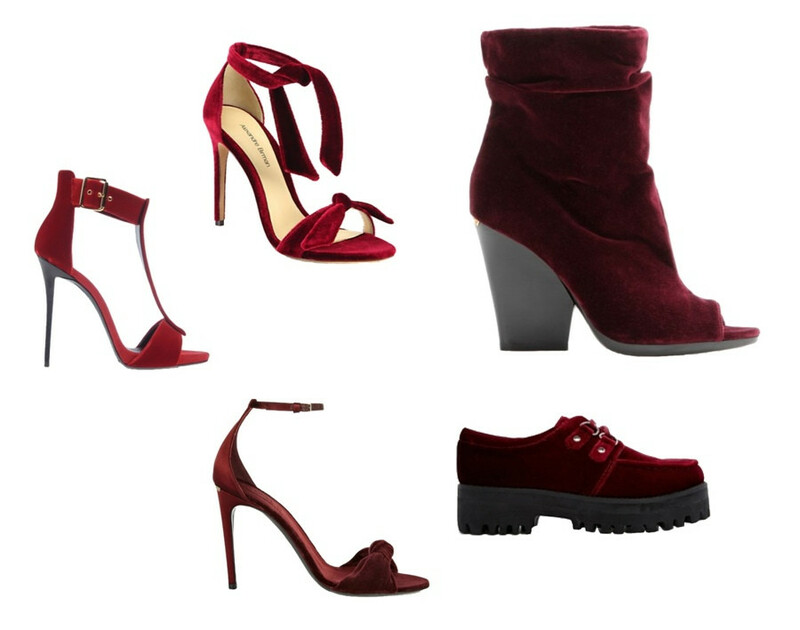 Red velvet is amidst a major revival right now, and everything from sandals to eveningwear is available in the righteously regal fabric. 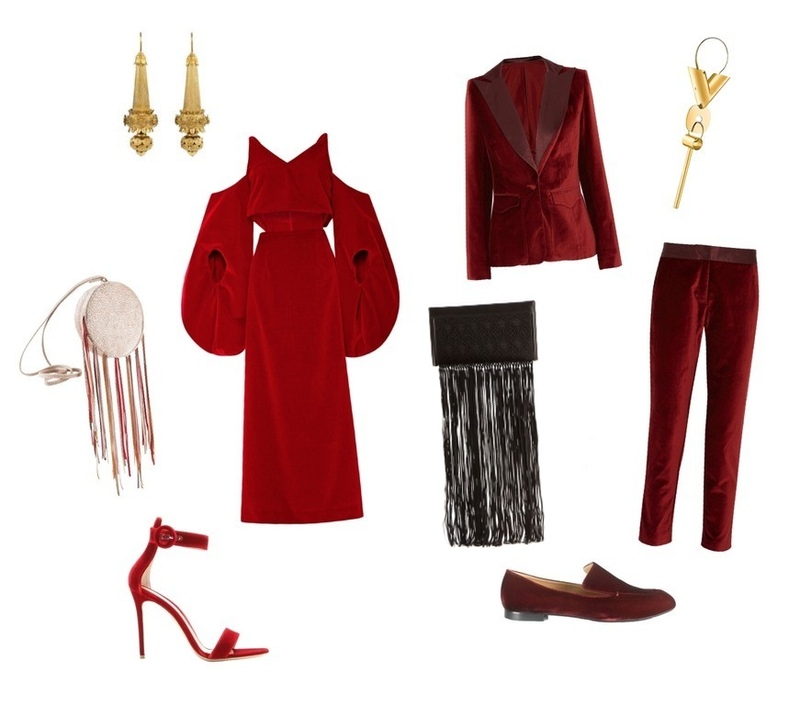 You can get your fix with any of the de rigueur shoes above - or - get the look that I am craving most right now by pairing bold head-toe-toe velvet with a gold statement earring and a side of serious fringe.